FNT announces new product releases. 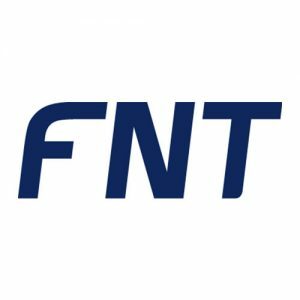 FNT, a global leading provider of integrated software products for the documentation and management of IT, telecommunication solutions and data centers, announced today two new upcoming major releases of the standard software products FNT Command and FNT ServicePlanet. Available in June and under the motto “Intelligent, Integrative and User-focused”, FNT provides numerous functionalities for the efficient and intelligent IT of tomorrow. Currently, all areas of the economy and society are experiencing a rapid change: the digital transformation. IT becomes the essential driver of numerous innovations and shapes actual trends such as Big Data, Cloud Services and Security, altering social and economic development. The Internet of Things, Industry 4.0 and the overall interlinking that is required by the IT manager, who is responsible for both the network infrastructure and data center, demands an efficient and available allocation of all necessary IT and telecommunication services. To be optimally equipped for the IT of the future, IT managers need the right planning and management tools which they can trust in building sustainable technical landscapes. This central market demand is answered with new innovations of the standard software FNT Command 10 and FNT ServicePlanet 3. Numerous new features form the basis to manage infrastructure intelligently and provide services efficiently from one central, holistic repository. “Intelligent, Integrative and User-focused” – By choosing this motto as the central theme for new major releases, FNT introduces at CeBIT 2015 (in Hall 12/ Stand C55 from the 16th to the 20th of March) exclusive insights into the new features which are targeted to be available this June. With the aspect of “intelligent analytics and dashboards”, the FNT Command 10 software provides predefined dashboards that collect and provide all important information as a basis for decisions relating to IT infrastructure, data center capacities and network capacities. Predefined dashboards will also be used in FNT ServicePlanet 3 to help in evaluating the efficiency of provisioning IT services. Furthermore, FNT Command 10 will be enhanced by the new “Graphic Center”, which extends the analysis and display of net structures dynamically. “Integration and collaboration” describes the second component of the new software releases, as FNT Command 10 and FNT ServicePlanet 3 have been unified even further. Additionally, the standard integration of FNT software with other systems is ensured by the newly developed “Business Gateway”. These allow for simplified communication with other systems and standard interfaces, as for example, the exchange of data using Microsoft SCCM or VMware vCenter. FNT especially has the end-user in focus, as it’s all about improving the usability and acceleration of everyday working processes. The new powerful yet simplified search function allows for quicker data access and therefore a purposeful operation. The mobile app FNT Command Mobile is also enhanced by essential functions that simplify the input and care of infrastructure assets on-site. For FNT ServicePlanet 3, the user interface is simplified in the same manner. Additionally, the role-based views create improvement in everyday work. Previous Previous post: Are you managing your data center or is it managing you?